I almost forgot about this week’s Tuesday with Dorie recipe! I thought it would be next week since we would be squarely in April. Of course that would have meant that many of us would be serving Pizza Rustica on our Easter tables! 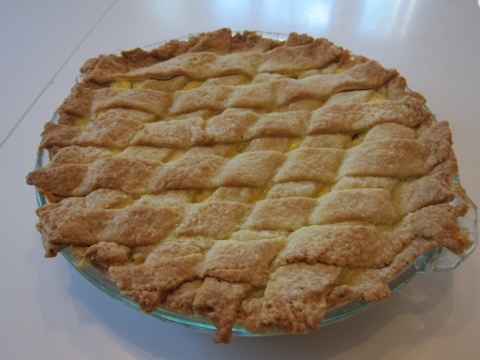 I really wasn’t sure what to expect with this recipe, as I’m not a huge fan of cheese-laden pies. But I’m glad that I tried it – it was delicious and very easy to make! Next, the filing? Easy. Although DH bought me curly parsley at the grocery. While I always think of parsley as garnishy, curly parsley is especially so. But, in it went (and the leftover bunch went into lasagna!). 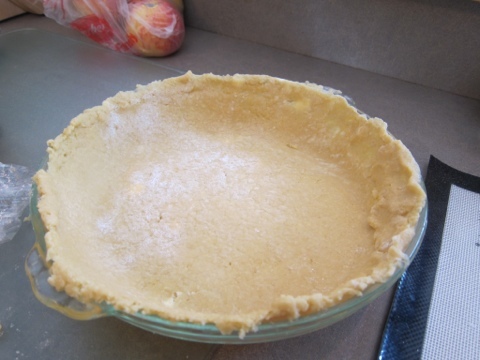 After the filing went in, I did my top crust. 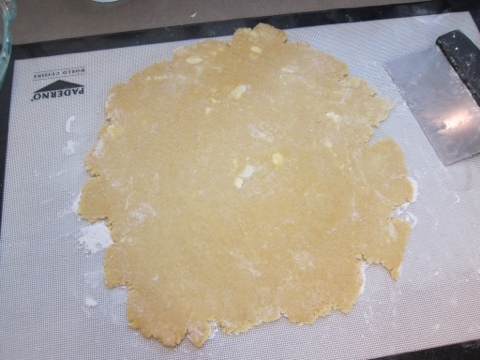 I started to run out of dough on the round, so it required a lot of rolling, slicing, and re-rolling. 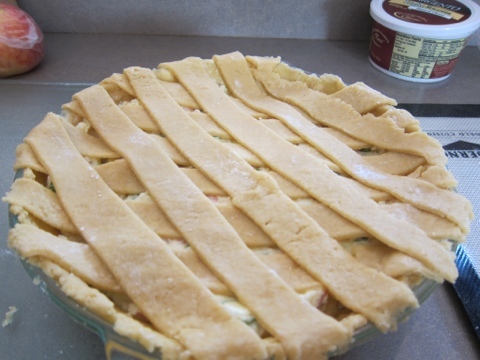 But I managed to get all 12 recommended strips onto the pie! After that, baking. And it turned out beautiful. I wish I had taken a picture of the first slice, but DH and I had company over for supper and while I have no problem interrupting DH’s dinner, I don’t like to do that for guests. This is definitely a recipe I will make again! 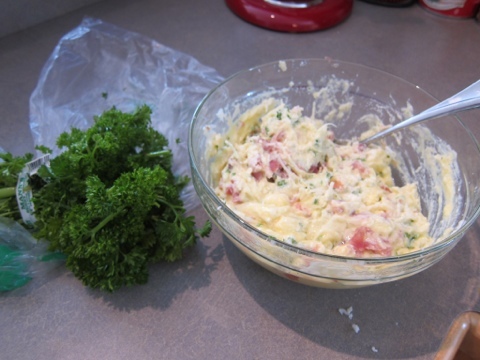 Visit our hosts for the week Emily and Raelynn to find the recipe and try it yourself!! Enjoy the springtime! I am trying to wait patiently until my peas and kale have sprouted. This was a perfect dish to serve to guests. We heated it up the next day and it really holds up well. Your lattice work is beautiful! This was a nice dish for company – especially since it can be prepared a head of time. Nice crust color! Me too, on the kale and peas!